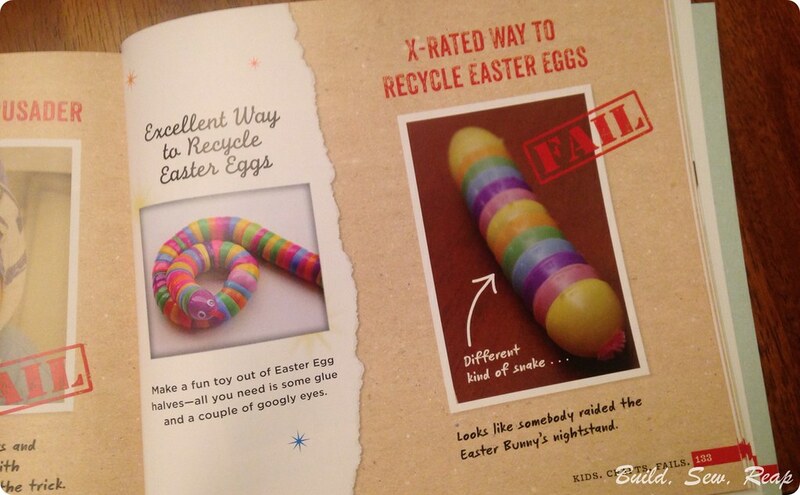 I'll admit, one of my favorite blogs is the Craft Fail blog. I go over there for a good chuckle when I need to remember that all of us DIY crafty bloggers have our fail moments. 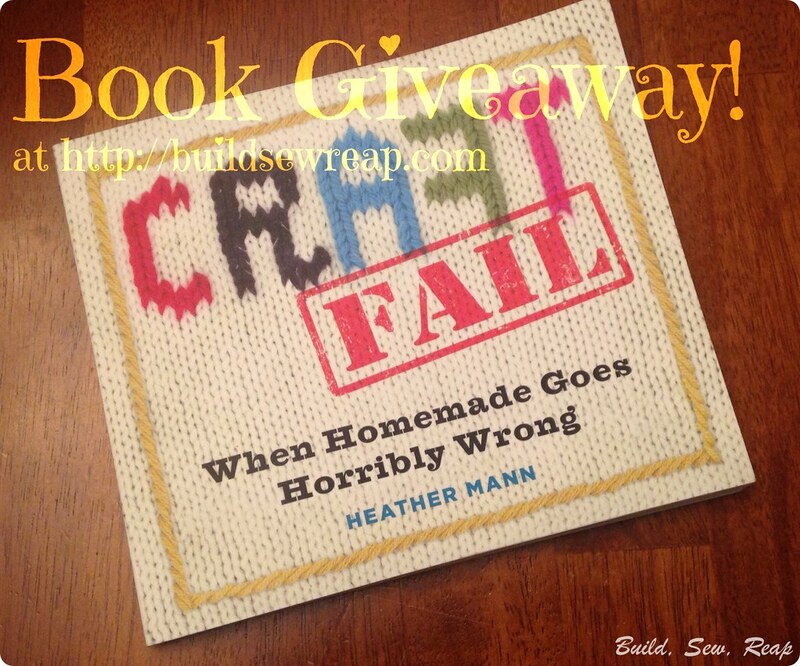 I even submitted my own fail awhile back and was thrilled to find out it was chosen to be in the official Craft Fail book! As a thank you for submitting a successful fail, Heather sent me two copies, one for me and one to give away. I thought the timing was just right because my birthday is next Tuesday and I like giving people presents for my birthday. Win it for yourself or give it to your favorite crafter as a gift (or, hey, read it for yourself and THEN give it as a gift, I won't tell). Check back on November 26 to see my fail! I'll update this post with the winner's first name and last initial as well as a photo of the page my fail is featured on. I can ship the book to you or will even gift wrap it and send it to your favorite crafty gift recipient if you'd like. UPDATE: Congratulations to Shawnee, you're the winner based on the random.org drawing through rafflecopter. I'll drop the book in the mail to you as soon as possible. There was the time the would be blue popcorn turned green. Darn you yellow dyes in the popcorn! Hmmm. There have been many...Today's fail- volunteered to bring muffins to school tomorrow. Muffins came out awful. Oops. Batch #2 here I come! I've failed at more crafts than I care to mention. That book looks hilarious! Is it truly a fail if you can use it/be entertained by it? !